When I asked if he had an email address, Nady Foucault lowered his head, twirled his moustache, and replied sarcastically that “even a portable phone is an unnecessary concession to the modern world.” With his brother Charlie, he is the driving force behind Clos Rougeard, a producer whose name has reached almost mythical proportions for amateurs of cabernet franc. Hidden in the center of Chacé behind a nondescript metal gate without even a sign of its existence on the letterbox lies an estate that fans consider to be the Romanée-Conti of the Loire Valley. But like the variety they cultivate, the Foucaults could hardly be more unpretentious. Some grapes command great respect in the eyes of consumers; others are hardly known or even ignored. In spite of being part and parcel of many of the most expensive red wines in the world, Cabernet Franc clearly belongs to the latter category. Often conflated with Cabernet Sauvignon, Cabernet Franc never seems to get the spotlight. Collectors shun it and many critics barely acknowledge its presence. In Bordeaux, which boasts almost half of the 36,000 hectares of Cabernet Franc planted in France, it is principally grown for blending with Cabernet Sauvignon and Merlot. On the Loire, on the other hand, it is generally bottled on its own. Somewhat lighter than Cabernet Sauvignon, it traditionally makes a pale red wine of considerable finesse. Depending on the growing region and style, its aromatic spectrum runs the gamut from white pepper to sweet tobacco, raspberry, graphite and violet. Highly sensitive to yield, it can also, when overcropped, bring forth wines with green, vegetal notes that are often described as leafy or even with the more pejorative term bell pepper. Not surprisingly, some consumers have written it off as thin and weedy. A feminine grape. Although not an enthusiast of sexual stereotyping, Jancis Robinson writes that Cabernet Franc could be described as the “feminine side of Cabernet Sauvignon.” She goes on, in her lyrical voice, to hint that it is “subtly fragrant and gently flirtatious rather than massively muscular.” Yes, Cabernet Sauvignon has so much more body, tannin, alcohol and color that it is often considered superior, but, like me, Robinson has a soft spot for its more charming, aromatic character. Although the first records of Cabernet Franc in Bordeaux date from the end of the 18th century, it might have been planted along the Loire before that time. In 1997 genetic fingerprinting done by Carole P. Meredith at the University of California/Davis proved definitively that Cabernet Franc is one of the parents of Cabernet Sauvignon, the other being Sauvignon Blanc. Thus, Cabernet Franc must predate Cabernet Sauvignon by a (long) while. Interestingly, José Vouillamoz, a student of Meredith and now even better known for his own research on the genetic origins of grape vines, places its ancestral home in the Basque country of the western Pyrenees. How it could have made its way to the Loire Valley before establishing itself in Bordeaux remains a mystery should it be true. Some historians nonetheless write confidently that Cabernet Franc came to the Loire no later than the 14th century. It, or something similar, was praised in Gargantua as early as 1534 by Rabelais, the great epicurean writer who was born near Chinon. Was the wine he drank made from Cabernet Franc? The only fact known for certain is that in the 17th century Cardinal Richelieu selected Cabernet Franc for exclusive plantings in Saint-Nicolas-de-Bourgueil, where it has been grown ever since. However, as he was originally from Fronsac, it is possible that he brought the vines from Bordeaux. Similar to Cabernet Sauvignon. In many ways, Cabernet Franc is, as described above, very similar to Cabernet Sauvignon, but it buds and ripens at least a week earlier. 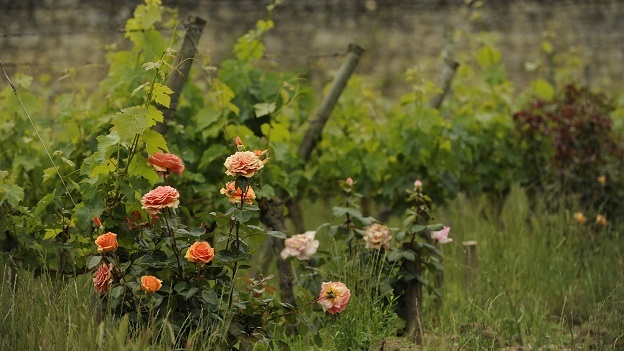 This trait allows the vine to thrive in the slightly cooler climates of the Loire Valley. Not surprisingly, barely ripe Cabernet Sauvignon can smell and taste much like fully mature Cabernet Franc in a blind tasting, with both of them exhibiting leafy aromas. 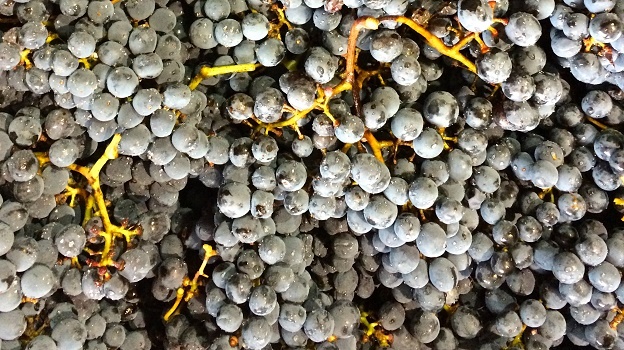 Nonetheless, ripe Cabernet Franc from the same vineyard is generally both lighter and softer than Cabernet Sauvignon and tends to mature more quickly in bottle. However, its reputation for refreshingly youthful red wines that can be served chilled on a summer terrace should not obscure the fact that there are full-bodied Cabernet Francs that are capable of aging magnificently over decades. Its early budding, however, does increase the risk of berry shatter. Further, even in the best of summers the grapes are quite small and blue-black in color, with fairly thin skins. As the Loire is located so far north in Europe, full ripeness had traditionally been an elusive quality for Cabernet Franc, but climate change has made life considerably easier for producers. While cool weather and rain once compromised every second vintage, there have been very few washouts over the past two decades. Better viticulture is certainly partially responsible for the improvement, but consistently warmer, drier weather has played an equally important role. While warmer summers and improved viticultural practices together have in recent years also allowed Cabernet Sauvignon more of a presence along the Loire, in particular in Anjou on schist soils, cabernet franc still reigns supreme in the eyes of the leading producers. Nonetheless, all of their wines still tend to be heavily influenced by the characteristics of any given year. Two thousand fourteen appears to have the makings of a great vintage. Many of the producers I visited during harvest were already comparing it to 2005, the last stellar year for Cabernet Franc on the Loire. Some went on to mention 1989, 1976, 1964, 1961 and 1959 as if they were reciting biblical scriptures. Two thousand thirteen, on the other hand, was more difficult, with spring frosts, heavy rains and rot at harvest complicating the producers’ tasks. Many made no single-vineyard selections that year, preferring instead to assemble everything for one bottling. For the most part, I concentrated on the 2012s, which are now coming onto the market. Like 2010 and 2008 before it, this was a vintage with frost, rain and hail that turned out much better than originally expected because of favorable weather in autumn. Pure in fruit, with vibrant acidity, most ’12s will need time to soften, but low yields and increased demand mean that more and more of the finest bottles are being consumed in their youth. Two thousand eleven, like 2009, was a warm, sunny vintage that some but not all producers love. “The wines are flattering,” explained Philippe Alliet, “but they’re not my style.” Richer, more sumptuous and a touch higher in alcohol, they will in any case need more time in bottle to acquire the elegance that nature laid in 2012’s cradle. Rabelais’ Chinon. The most famous appellation for Cabernet Franc is without doubt Chinon. Located on the Vienne, a tributary of the Loire, it joins the fertile region of Poitou to central France and was long a fortified bastion belonging at times to English kings, including Richard the Lionhearted, and later their French cousins. Its Cabernet Franc, though, long a favorite of bistros and wine bars in Paris, has never really won a large following outside France. While everyone interested in wine knows the name, few buy or drink it on a regular basis in spite of the glowing descriptions left by Rabelais. That said, it does seem to be enjoying a small, well-justified renaissance. In any case, there have never been more good Chinons produced than today. With 2,500 hectares of vineyard and some 200 estates scattered over 18 villages, Chinon is also the largest of the Loire’s red wine appellations. Although most of the better sites have already been planted, another 1,500 hectares lie fallow, an indication of the market’s timid appreciation. For a short period of time a generation ago, Charles Joguet had a cult following, but that was before he retired. The two largest players today are Couly-Dutheil and Baudry-Dutour, but most of the finer wines are being produced by estates like those of Philippe Alliet, Bernard Baudry, Etienne de Bonnaventure from Coulaine, Bertrand Sourdais at Pallus, Jérome Lenoir at Les Roches, and the new team at Charles Joguet’s old estate, Anne-Charlotte Genet and Kevin Fontaine. While there are still too many insipid wines produced on alluvial soils in Chinon, an ever larger number of the younger generation of producers are turning to biodynamics, reducing crop levels and harvesting grapes at phenological maturity. Like other regions undergoing rapid change, there is still a tendency to use too much new wood on the prestige bottlings, but on the whole there has never been more good Chinon on the market. Some critics have rightly suggested that the lower-lying, gravelly soils, which are almost always harvested by machine, should actually belong to different appellations. While that is equally true of Chinon, it becomes particularly apparent in Bourgueil and Saint-Nicolas-de-Bourgueil, which are two villages along the same hillside above the Loire. The latter was once part of the former, as the name implies, but the two parishes fought and separated. The old Roman road along the Loire ran above the sand and gravel in both villages and below the chalky clay where the best vineyards were planted. While appellations are thought to follow geological lines, here they follow Catholic history. With 1,300 hectares of vineyard, Bourgueil is not only the larger, but on the whole also the better of the two appellations, principally because more of its vineyards are on the slopes above the old road. The vineyards are strewn across seven hamlets, of which the eponymous village Bourgueil, Benais and Restigné are the most important. Saint-Nicolas has 1,000 hecatares, but less than a third are on the slopes. In both cases, up to 10% Cabernet Sauvignon is allowed in the blend, but most of the better producers bank solely on Cabernet Franc. Yannick Amirault, Jacky Blot from La Butte, Pierre Caslot from La Chevalerie and Frédéric Mabileau are the best-known estates here. While Chinon was coasting downhill in neutral, much of the innovation in the region was taking place in Saumur-Champigny, about 30 kilometers to the east. Under Henry IV, Saumur had been the capital of the Huguenots, which helps explain why they took Chenin Blanc with them when they emigrated to South Africa. Champigny can be added to Saumur only for the finest red wines made from Cabernet Franc in specially delimited areas in eight villages northeast of the city. The vineyards are essentially small islands on the chalky hillocks of the upper Turonian plateau. The name is apparently derived from the Latin campus igni (field of fire) because of the area’s particularly warm microclimate during the summer. Perhaps for that reason as well, it is one of the few appellations with an upper limit on alcoholic content. 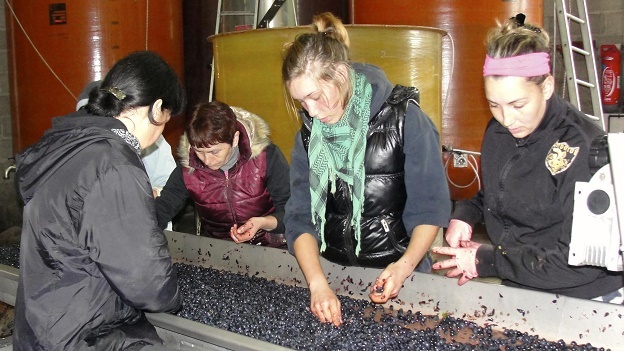 Any Cabernet Franc that has been chaptalized may not have more than 12.5% alcohol by volume. Today, there are almost 2,000 hectares of vines in Champigny. In contrast to Chinon, which could theoretically almost double its vineyard size, every nook and cranny of Champigny is essentially planted, which hints at the financial health of the appellation. Even the cooperative, which commercializes about 30% of the annual crop, is doing reasonably well. 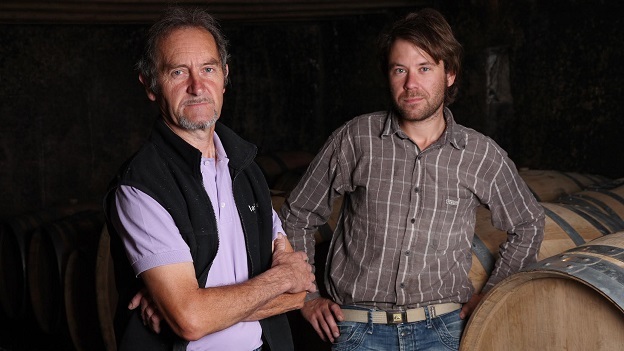 At the peak of the pyramid stands the almost mythical Clos Rougeard of Nady and Charlie Foucault, who are not only icons but have also done much to encourage the next generation of winemakers to up the ante. Today, the sheer number of estates striving to make the best quality possible also hints at this appellation’s dynamics. Hureau, Roches Neuves, Saint Just, Sauzay and Villeneuve are only a few of the better known.